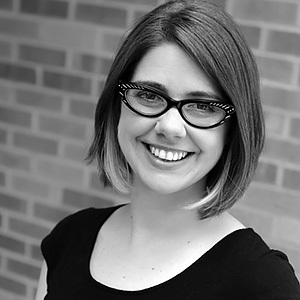 Shelby Jennings graduated from Appalachian State University with a degree in Theatre Education. She is currently pursuing a graduate degree in Theatre, Media, and Communications from Northeastern Illinois University. During the day she teaches drama in Evanston public schools and in the evenings you can see her performing with Cowlick (The Playground Theater), AIRBOURNE (iO Theater), and The Fowler Family Radio Hour. She would like to thank her friends, family, and new hubby Joe for their love and support.